The European Commission Action Plan: An assessment of the reform areas for PRI signatories provides an overview of the main reform areas. Action 1 looks at establishing an EU classification system for sustainability activities. The European Commission has published a proposal for a regulation to develop a sustainability taxonomy. The taxonomy is intended to provide clarity on which economic activities can be classified as environmentally sustainable, and it will be integrated into legislation as it is developed. The taxonomy will be the cornerstone of the Commission’s other activities to advance sustainable finance, in time providing a yardstick for measuring sustainable capital flows. It will cover activities contributing to climate mitigation and adaptation, adding other environmental and social objectives6. The priority is to assess, sector by sector (sequentially), which economic activities within a given sector are good for the climate and the environment. A technical expert group7 (see Annex 1) has been established and will advise on how to develop the criteria for these environmentally sustainable activities. It willl help develop a first taxonomy for the first quarter of 2019, with a focus on climate mitigation activities. By mid-2019, the taxonomy will be expanded to climate adaptation and other environmental activities. In addition, a Platform on Sustainable Finance will be created in 2019. It will advise the European Commission on the further development of the taxonomy, including a social sustainability taxonomy in a later phase (after 2021), and on the taxonomy’s impact. Bringing together experts from both the public and private sectors, this platform will replace the technical expert group. The taxonomy aims to build on existing approaches and taxonomies, including that of the Climate Bonds Initiative, and to evolve dynamically, rather than be set in stone. 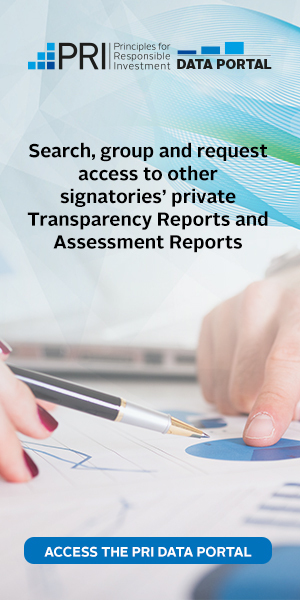 It will include guidance on sectors, activities, screening criteria and metrics. The system to create and revise the taxonomy is being designed to be responsive to scientific developments and technological change. On a practical basis, the sustainability taxonomy should bring much-needed consistency and harmonisation in green and sustainability definitions. PRI signatories around the world have raised concerns about greenwashing and lack of consistency as significant barriers to scaling-up sustainable finance. In its impact analysis, the Commission took the view that clarity is needed on the conditions that economic activities need to fulfil in order to qualify as positively contributing towards sustainability as, at present, a coherent and uniform classification system does not exist at the EU level. The sustainability taxonomy will, in time, become embedded in EU legislation, providing an important reference point for PRI signatories throughout the EU. The PRI anticipates that policy makers in markets outside of the EU will observe the EU’s sustainability taxonomy to inform evolution of their own taxonomies. At the same time, the taxonomy must be flexible enough to change over time, as science evolves and new technology is developed. European PRI signatories are encouraged to engage actively with the development of the taxonomy in 2018 and to evolve their own sustainability criteria in harmony with those of the EU. Laying the foundations for a single EU market for sustainable investment. The taxonomy should be a complement to efforts to identify investments that are consistent with the Sustainable Development Goals (SDGs) – noting that it is focused on industrial activities that might contribute to achieving the SDGs. The initiatives on taxonomy and disclosures (Actions 7 and Action 9.4) are linked. Once the criteria are developed, financial market participants offering environmentally sustainable financial products or services shall disclose how and to what extent they are used to determine the environmental sustainability of the investments selected for the financial product. The first delegated act covering the climate change adaptation and mitigation objectives could be adopted by the end of 2019, and the second and third delegated acts, covering the other environmental objectives (pollution and waste prevention, healthy eco-systems and water protection) by mid-2021 and mid-2022 respectively. One reason given for the emphasis on climate change over social factors is that the former has stronger scientific underpinnings, and consensus is much more likely to be reached. The European Parliament and Council will need to agree on the proposal.